Of course since Valentine’s Day is tomorrow I’ll be doing this tag! As you all know I’m not big on romances in books or romance books so I will try and do my best! I found this on As Told by Tina and the original creator of this tag is CC’s Books. I gave this book 5 stars because it’s just so unique, silly, and entertaining! Highly recommended by the way….. This is an absolutely amazing book. Period. Full of action, adventure, and heartbreak (seriously YOU WILL CRY). This is dystopian mixed with sci-fi as the people of Earth moved onto this planet. 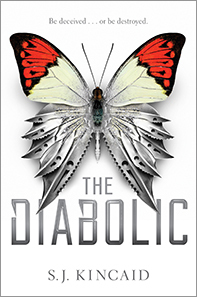 A fantastic book with it’s own plot and world building but also contains four fairy tale retellings too. I thought this book was so interesting and it definitely needs to be talked about more, such an underrated book! It really is rare that I enjoy romances in YA books let alone slowly pine away waiting for the characters to love each other. In the case with this book it was both, I really liked that it was a slow burn romance and Nemesis and Tyrus really are perfect for each other…. 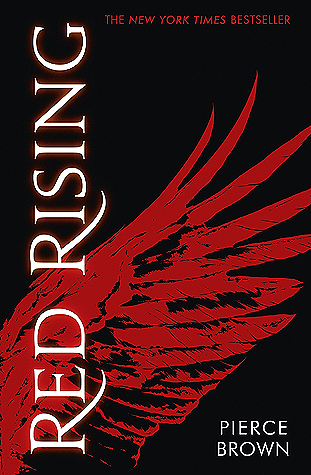 Of course there are many popular books that everyone has read and loved that I have yet to get to but one I’m really excited to get to is “Red Rising” especially since I’m sure I’ll love it! I have this on my shelf and it really is gorgeous, however, I wasn’t a HUGE fan of “Crimson Bound” by Rosamund Hodge so we will see if I actually enjoy this one…..
Another one on my TBR that sounds interesting enough even if the cover is off-putting for me, it makes it look too fluffy (I know it really isn’t) but I’m still confident I’ll enjoy this book. I don’t really do book boyfriends all that much but I’ll go with either Kell from “A Daker Shade of Magic” or Victor Vale from “Vicious”. V.E. 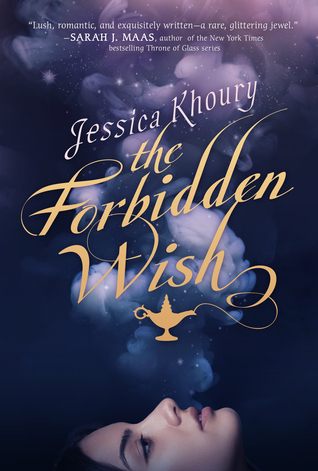 Schwab sure does know how to make them…..
Well if I was I’d be reading either “The Forbidden Wish” or “Daughter of Smoke and Bone”, watching no TV (because I don’t know of any romantic type shows I’d actually enjoy), and watching my favorite rom-com Sweet Home Alabama! 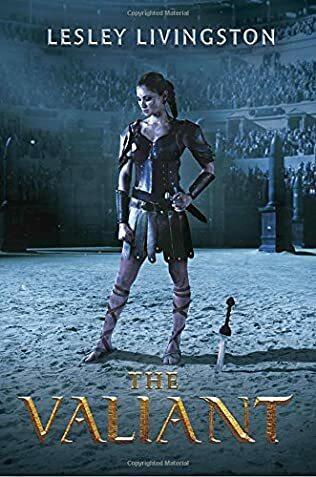 There aren’t too many new releases I’m confidant I will LOVE but one I’m a little more sure of is “The Valiant” because the main character is a female gladiator, which just sounds badass. Spread the “LOVE'”! I tag you! Oh, this seems like a fun post! Thanks for tagging me! P.S. You will love Red Rising. Sooooo good! No problem, I figured I would tag everyone since Valentines day is today (tomorrow when I did it)! Awesome! Can’t wait to hear what you think of it! 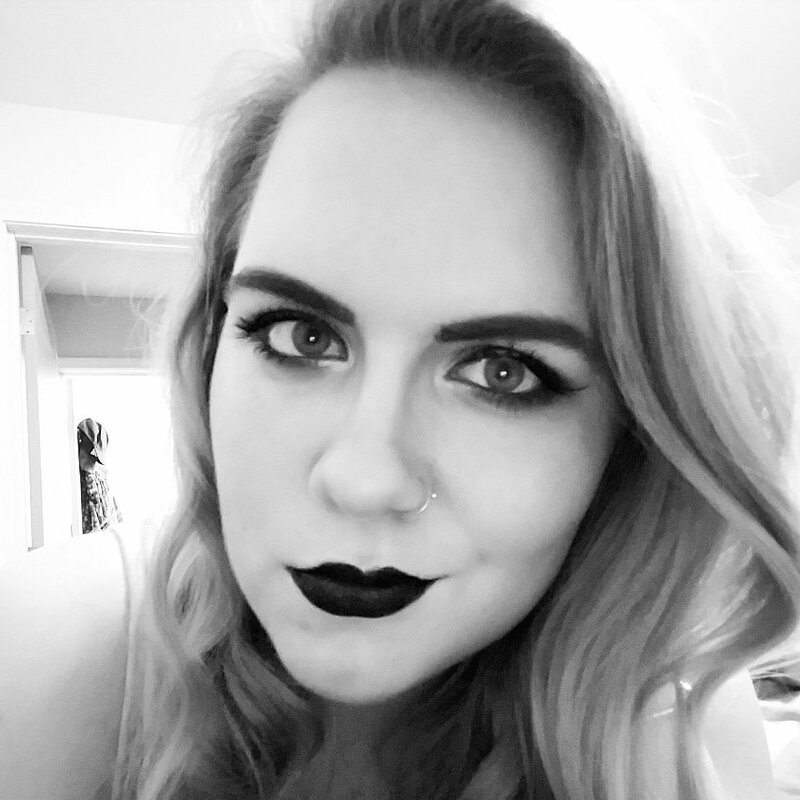 This seems like such a fun post Heather, thanks so much for tagging me. I’ll need to get around to this one soon or it will sit in my tags queue until June and then it’s a little too late to post a Valentine’s Day themed tag isn’t it? 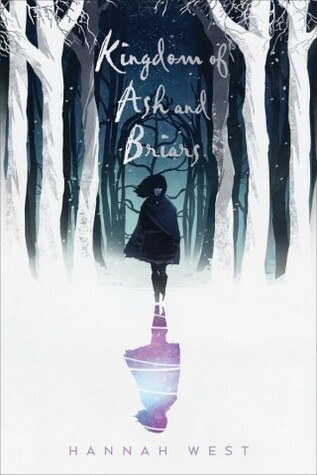 I need to read Kingdom of Ash and Briars soon and oh I really hope you enjoy Red Rising when you get around to it, that’s another favourite of mine. No problem and that happens to me with tags too but you could always save it for next year (Lord knows I have tags sitting undone for that long anyways). I’m definitely excited for Red Rising since I finally got a copy from Book Outlet so hopefully I can start it soon since I know I will love it! I’m going to try and fit it in in the next couple of days. I figure one or two days after Valentine’s Day isn’t all that bad is it? It’s definitely good, actually not just good. Amazing! 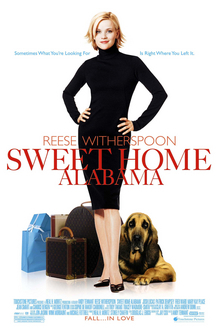 Although I will say prepare yourself for tears! Thanks so much for tagging me! 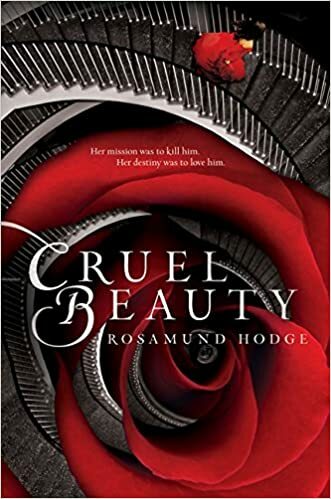 I did not enjoy Cruel Beauty unfortunately, but I was also coming off of having just finished A Court of Thorns and Roses, which was my favorite book ever at the time (it has since been replaced by ACOMAF). I hope you enjoy it! I’ve been meaning to read The Knife of Never Letting Go, My Lady Jane, and Red Rising…here’s to hoping I get around to it, haha. I didn’t much care for Rosamund Hodge’s other book Crimson Bound I’m going in with low expectations since I know I probably won’t like it either. I do need to read ACOTAR though and see what the hypes about there! That is quite the tagging haha. Happy Valentines Day ❤ Fun post in deed. I am ashamed to say I still have not read my copy of My Lady Jane. I am so lame.. Happy Valentine’s Day! I always feel bad for tagging so many but at the same time I don’t like leaving people out! I am excited about it as well! The size is a bit daunting when I have so many reviews books to get through though. I hope soon! I have some of these books on my TBR! Thanks for the v-day tag! 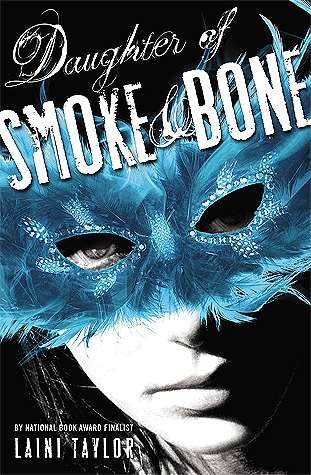 I’ve only read Daughter of Smoke and Bone off your list, but every single one of the other books are on my TBR and have been wanting to read! My Lady Jane has been waiting on me forever now! Thanks for the tag! This post reminded me that I really need to get around to reading more of V.E. Schwab’s book. I loved This Savage Song but I haven’t read any of her others for some reason. That’s good 🙂 I’m excited to read them! I really hope you enjoy Rebel Belle whenever you get around to reading it. I absolutely love that book!! 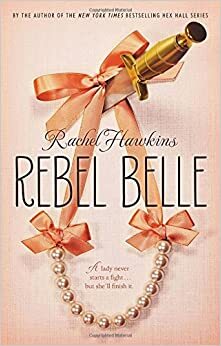 I have a feeling I will enjoy Rebel Belle, there are just too many books I need to get to though and not enough to in the day! Haha, trust me – I completely understand! Great post and interesting answers! I have yet to read My Lady Jane but since you gave it a 5 stars, I hope to have a chance to read it this year. I also need to read Red Rising 🙂 Thanks for the tag! LOL!! Awesome, because I already scheduled it! Not going to lie, the only book I’ve read that you’ve mentioned is Cruel Beauty, which I really liked. 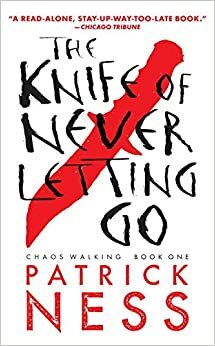 I adore The Knife of Never Letting Go, it’s such an amazing trilogy! I’m the same with Red Rising, I keep hearing about it but for some reason have yet to pick it up – probably because I want to finish some of the series I already started before moving on to a new one (or at least that’s what I’m telling myself). I really need to finish the Chaos Walking trilogy but I just can’t muster the courage, I don’t want me heartbreak! I finally got a copy of Red Rising so hopefully I’ll read it soon. I’m awful! I like starting series more than I like finishing them, I’m so weird…..
Eep, so this is super late but thanks for the tag! I guess I have this for next year 😉 I loooove Daughter of Smoke and Bone! I really, really need to read Vicious. I haven’t read Red Rising yet either, but I’ve been meaning to for so long!! I just found out your blog thanks to this awesome book tag and I loved it! I haven’t read any of your answers 😦 BUT most of them are on my TBR, so I’m glad they made it you your post! !